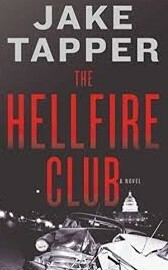 When I first saw The Hellfire Club by Jake Tapper at #3 on the New York Times Bestseller List in its first week, I thought, oh great, another book written by a celebrity. The author Jake Tapper is a reporter/anchor for CNN, so he knows a bunch of people in the publishing industry. If he doesn’t know them, then he knows a bunch of people who know a bunch of people. And if they don’t know a bunch of people, they know a bunch of people who know a … you get the idea. Jake Tapper isn’t the only news reporter/anchor/host to write a book. It seems like every on-air personality at FOX News has a book out. It must be written into their contracts that on-air personalities write at least one book every couple years. I can understand a news anchor writing a nonfiction book that is kind of related to current events, culture, or history. I can understand that. But a novel? Either Jake Tapper is really arrogant, or he’s a pretty good writer, or he hired a pretty good writer who didn’t mind giving Jake Tapper credit. And then that novel hits #3 in its first week? That’s either a pretty good book with quick word-of-mouth, or it’s an author with some serious connections. Is The Hellfire Club a bestselling novel on its merits? I guess some people would say the “merits” for a bestselling novel would be book sales, but I’m looking at quality of writing. Is Jake Tapper’s writing on par with normal bestselling authors like John Grisham, James Patterson, orDanielle Steel? To be honest, I don’t know because I haven’t read the whole book yet. He snapped out of the blackness with a mouth full of mud. That’s not a bad first sentence. I’ve read a bunch of first sentences from bestselling novels that are way worse than this. Charlie exited and joined LaMontagne, who was staring at what at first appeared to be a bundle of discarded clothes in a narrow drainage ditch but upon closer examination proved to be a young woman lying on her right side, facing away from the road, her left arm twisted awkwardly behind her. This long sentence killed what could have been a dramatic scene. 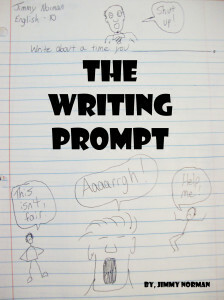 The two characters discover a dead body that will probably be important to the story, but the discovery feels rushed. Sometimes when I see a clunker of a sentence, I fix it, but the last time I fixed a famous author’s sentence on my blog, I missed a few grammatical mistakes in my own writing. True, I write my blog for free, but I try to keep the writing as mistake-free as possible for a guy with a full-time job that has nothing to do with writing. Anyway, the writing quality so far in The Hellfire Club is okay for a bestseller, but this novel probably wouldn’t be a bestseller if the author wasn’t Jake Tapper, or a guy with connections like Jake Tapper. I don’t blame Jake Tapper. If I were in his profession and had his connections and wanted to write a bestselling novel, I’d do the same thing. You almost have a responsibility to use your connections to your advantage (as long as it’s done legally). I’m not complaining about Tapper using his connections to write a bestselling book. I’m just saying The Hellfire Club probably wouldn’t be a bestseller if the author wasn’t a famous guy with connections. But it’s still waaaaay better than anything I’ve read by James Patterson.